I have a major problem with Small Business Saturday. Actually, three problems. The first is the origins of the event in the first place. Small Business Saturday was started in the US in 2010 and sponsored by credit card company American Express (Amex). Amex bought advertising on Facebook, which it gave to its existing merchant account holders, and gave rebates to new merchant account holders to promote the event. So if you read that back: Amex bought advertising for businesses that they are already earning from (their Amex merchant accounts) and gave a discount to new businesses signing up to the merchant account and promoted the Amex sponsored Small Business Saturday event. Who’s the winner here? Some small businesses? Yes. American Express? Definitely. The day is held each year, wedged between Black Friday and Cyber Monday. If you’re a credit card company you’re going to want to keep the spending going all weekend long (with a day off on Sunday)… well you would, wouldn’t you? But that’s great, this is a major corporation being an advocate for the little guy. The second problem is that Small Business Saturday is aimed at retailers. The ones with bricks and mortar, usually in the high street, that sell a product. But the scheme has been advertised in the past as championing all UK small businesses (this image is from 2015). Now, there are currently 5.5million small businesses in the UK that have fewer than 10 employees. Of those, only 542,000 of them are retail, which also includes the wholesale and motor vehicle repair industries. What about the other 4.9million small business? The osteopaths, plumbers, electricians, physiotherapists, or the dog walkers, groomers, dentists and mobile hairdressers? Using the Small Business Finder feature on the Small Business Saturday website, here are how many of those businesses feature. Ok I get it, we need to do something about the high street, but if you’re going to say that you are helping all the country’s small businesses, then actually do it. 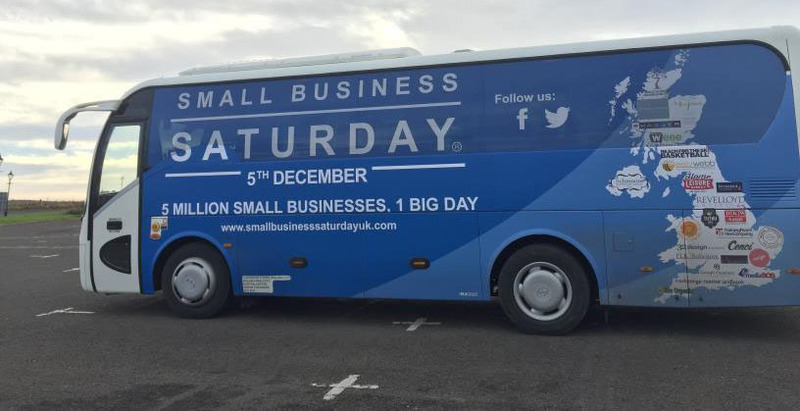 Small Business Saturday is just one day out of 365 and while it’s great that for at least one day in the year we are thinking about those businesses that are right on our doorstep, it’s not enough. At me:now, we want every small business to be successful and we want this every single day. That’s what the me:now app was built for. Now, if you download our app, and badger your favourite local businesses to be on it, you’ll be alerted to when they can fit you in. It’s a great way to support them and it costs you (and them) nothing. 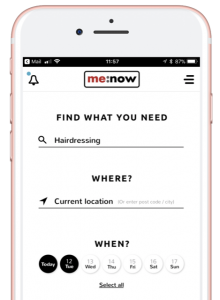 Even if you don’t download the me:now app, what is it that stops you supporting your local business outside of Small Business Saturday? Nothing. So what do you say? Join our movement and really help all small businesses succeed.